In Livigno you can practice a bit of all winter sports, but most of all live emotions in the open air in direct contact with nature and silence. It's all there from Telemark skiing to mountaineering, from snowboarding to downhill skiing, from Nordic walking to snowshoeing, from ice climbing to ice skating, from snowmobiles to go karts on snow, from freeride excursions with Alpine guides to horse riding on tracks especially prepared for horses. From sunrise to evening you can ski on both sides of the valley, from 1,800 meters to 2,900 metres in altitude. There are 115 km of slopes and two good snowparks, the Mottolino (voted the best snowpark in Italy) and the Carosello Park with the original Boarder-zoo. A Freeride Adventure is a unique experience for skiers, Telemarkers and snowboarders with the Alpine guides of Livigno taking you to reach the best snow and the most wild areas of Livigno. Various levels of difficulty can be catered for, from easy or medium ability level to the most highly skilled. Right now Livigno offers a three night package in a hotel or guest house, a three days ski pass and a day of Freeriding with the Alpine Guides of Livigno from just €195,00 per person based on bed and breakfast. There's also the possibility of half and full board accommodation or you can stay in an t of apartments, although that must be for a minimum of 7 nights. For a seven night stay in hotel on bed and breakfast, without ski pass, prices start from 250 Euros per person. There's also the possibility of staying in apartments or in hotels on half or full board. Another great deal for families to be aware of is that each family with two parents and two children (born between 1996 until 2001), buying three ski passes for a minimum of 6 days at the normal price, will receive a fourth for free. The offer is valid for the whole of the remainder of the winter season. You could even come to Livigno just to go shopping, There are 250 tax free shops in the resort selling the best Italian and international brands. 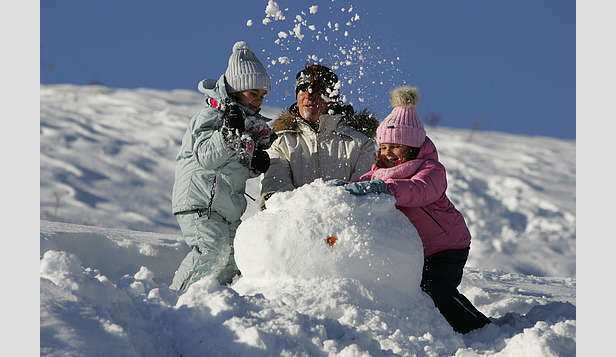 For a short break without a lift pass prices start from just €99.00 per person for three nights in a hotel on bed and breakfast. Again there's also the possibility of half and full board accommodation or you can stay in an t of apartments, although that must be for a minimum of 7 nights.